Greetings & Salutations my Friends! It is so good to see you again!! Your presence is always welcome. It has been brought to my attention how my Essential Oils have been changing my life & that it may be time to share some of what I’ve learned & how I’m using it. Let’s start with why my husband suggested this subject for the blog. Where I work is having a Halloween potluck & I decided I would bake some cookies. I do enjoy baking!! So, I found a recipe for a spice cookie, added chopped apples & topped with a salted caramel. Everything went well until the caramel. I melted the caramel, added the salt & a tad bit of milk. When it was thoroughly mixed I applied it to the top of the cookies. Near the end I managed to spill some of that hot caramel on the index finger, left hand. Boy, that stuff was HOT!! I managed to get it off that finger onto the middle finger, right hand. Now I’m caught. I have to prevent the caramel from dripping any more from the cookie, but the fingers felt like fire!! Finally, finally I was able to devote full attention to the fingers. Ran cold water over them for a bit, then grabbed a couple of those plastic ice cubes & held on tight. I went through 4 pairs before the fire in the skin was finally out, especially the middle finger. I was already using Tea Tree Essential Oil & Peppermint Essential Oil blended in baking soda & corn starch as my deodorant. I’ve elected to stop using store bought deodorant due to the link to breast cancer. The powder mixture helps absorb any moisture throughout the day. The Tea Tree Essential Oil increases your sweating to promote toxin removal. The Peppermint gives the blend an uplifting aroma for the day. But I noticed that some of my skin tags were disappearing. I knew Tea Tree Essential Oil is good for the skin, it helps open pores, but I did not expect it to affect skin tags. That’s when I made my first batch of 1% Tea Tree Essential Oil & Grapeseed oil. On my right hand was a small skin tag. Light brownish in color & a bit of rough skin. My husband had also commented on how my age was starting to show on my hands. I made my blend & started applying 3-4 drops a day to the back of both hands. I don’t keep very good notes, so I don’t know how long, but that small tag fell off the back of my hand. It’s gone. My husband has stated the age spots are being invisible. That’s when I decided to apply it to other places on my body. I noticed some tags shrank & went away. I’ve also noticed others showing up. I kept applying the 1% blend, maybe once a day. When I finished the first bottle, I evaluated & decided to increase the percentage & make it my habit to apply twice a day. Ok, I say all that to say that when I applied the Tea Tree Essential Oil to my tags & face, of course it was absorbed into both burned fingers. Since the pain was gone & they weren’t too tender, I didn’t give it any thought. This morning, I was doing something, I don’t even remember what, when I noticed the blister on my middle finger. It didn’t hurt, I just noticed it looked strange. I took a closer look & can tell how the hot caramel had been strung on my finger. A little squiggle of a blister. But it doesn’t hurt. Another area I have continual issue with is my ears. Oh my gosh, the itch that has developed in them! And I mean for years!!! When it first developed was probably about 8 years ago. I told the doctor I was seeing at that time about the itch & how petroleum jelly seemed to be the only thing to ease it. Well, he prescribed something. Only thing I remember is that it did help. Then about 6 years ago I changed doctors & told this one about the itch & prescription. He tells me to go to the health food store & purchase Florasone cream. The difference it made from the very start was amazing! Now fast forward to February 2017. I flew up to Montana to meet my new grandchild. Stayed a week & then flew back to SoCal. Within a day or two of arriving home my ears started to ache. Both of them, but the left one was the worst. I went to a local urgent care. Received some anti-biotics (the strong ones, the z-pack) & some ear drops. About 5 days later I’m back at the urgent care, still in pain. They gave me an even stronger anti-biotic & more ear drops. This seemed to help some, but in about 10 days it was back again!!! So, one more trip to this urgent care. This time it was a steroid shot. I do not recommend them. It does appear help ease the other pain, because those things hurt!! For days!! Unfortunately, it did not actually alleviate the ear aches. From our chance meeting at breakfast one morning we made a date for another day. I went to her place to learn more from her. She explained how applying Sweet Basil Essential Oil, neat, from just behind the ear lobe, down along the neck allows the oil to soak into the eustachian tube. (Never place any Essential Oil directly in the ear canal.) Once in your system Basil Essential Oil’s antibacterial/analgesic properties & how it improves blood circulation can start helping you feel better. 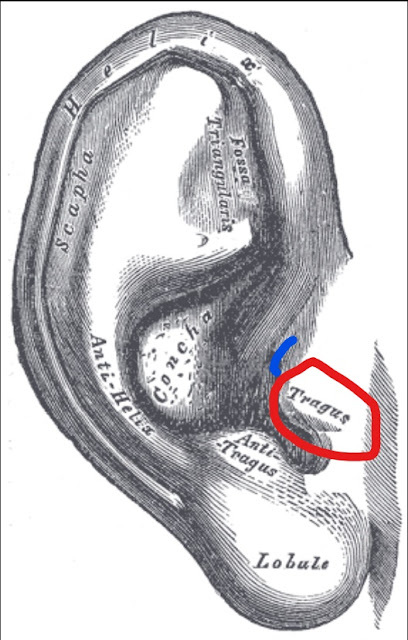 In my research of the causes of ear infections, I learned that many times the cause of the ache is not necessarily an infection. It could be water trapped in the Eustachian tube. This would cause severe discomfort & irritation. But doctors are trained to prescribe antibiotics for the littlest thing & we’ve come to expect that little dosage to fix us. I had already taken some of the highest antibiotic dosages & a steroid shot & nothing changed. I needed to do something different. So I decided to make a solution of hydrogen peroxide & isopropyl alcohol. Each morning, noon & evening I would put a drop in each ear. I would listen to the peroxide bubbling in my ear. It tickled, too. But I waited for the bubbling to stop before applying to the other ear. Then I would apply the Basil Essential Oil to my neck, along the Eustachian tube. It only took a day or two for the pain to finally be gone. Finally, relief. After a few more days I could tell it the ears were clearing. The peroxide wasn’t bubbling as much or for as long. During this ordeal I noticed how much more my ears were itching. On one of my trips to urgent care I asked a doctor about the itching. 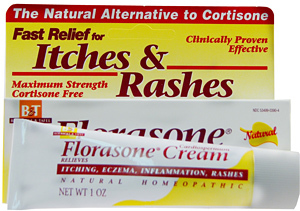 He said it was most likely eczema or psoriasis & all I could do is keep applying the Florasone cream. After I used my peroxide/alcohol solution I noticed the itching lessened dramatically. I thought about the Florasone cream & wondered if there was an Essential Oil that could help also. In my research on Peppermint Essential Oil (See 5/28/17), I found that Peppermint is a natural hydrator for your skin & a natural remedy for fungal & bacterial infections. I decided to add a couple of drops to my Florasone cream. Just for clarification, I do not place the cream inside my ear. I get a little on a Q-tip & apply it to the inside of the tragus. (Circled in red.) I also make sure to get some on the inside crease (lined in blue). Since using this combination I have almost eliminated that itching. I have noticed this is not a cure. If I go too many days without using the cream, then the itching comes back & I have to start the process over again. First the solution, then the cream. Well, that’s a couple of my favorite recipes & how I came to find them. I’m putting together a book of my recipes & how to blend them. Keep an eye out for it. Until next we meet, may you Be Blessed.